Executive personalized gift clock set in brilliant clear case with single metal silver pen set with DaVinci engraved clock mounted on cherry wood base. A beautiful recognition, employee retirement, birthday, wedding anniversary or service award gift for a valuable honorable person. The table top desk engrave clock features a beautiful silver clock encased in a gleaming polished clear case mounted on cherry wood with silver metal pen. 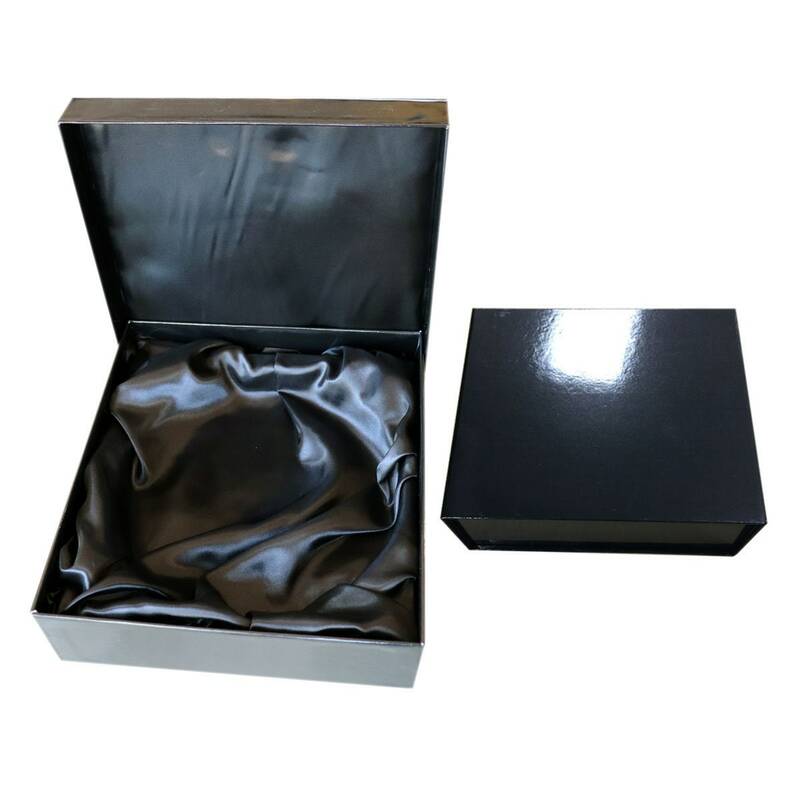 ► Contact us at info [at] AllGiftFrames.com or TEXT us at 714.227.8735 or put info in "Note to Seller" field box and let us know what you want to engraved on the silver engraving plate. ♥ Executive personalized gift clock set in brilliant clear case with single metal silver pen set with DaVinci engraved clock mounted on cherry wood base. The table top desk engrave clock features a beautiful gear silver clock encased in a gleaming polished clear case mounted on cherry wood with silver metal pen. 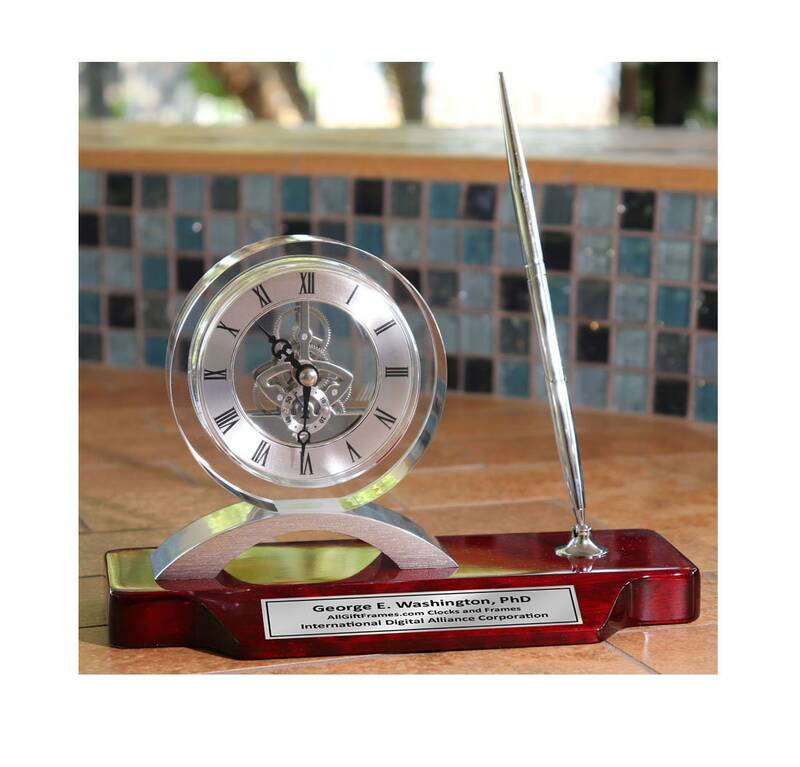 ♥ Overall Premium Engraved Cherry Silver Desk Clock Pen Set size 9" x 5.5"
This engrave desk clock will stand as a symbol of recognition and achievement that can be admired for years to come for the graduate, employee, retiree, friend, boss or coworker. Recognize a valuable dedicated friend, boss or colleague who go above and beyond in the work place. The handsome desktop accent gear silver clock is a great present for retiring employees, wedding, birthday, promotion or anniversary gift. This engraved desk clock also makes a mementos wedding, anniversary, birthday, graduation, promotion or birthday gift. A personalized engraving silver plate complete its display. Use this engraved desk clock to display recognition in the office or pair it with coworker retirement mementos for memories. Personalized wood glass desk clock with silver engraving plate. Congratulation engraved desk clock with distinction. This beautiful engrave desk clock makes a unique retirement, employee recognition, wedding, anniversary or graduation gift present. A unique table desk clock gift idea for coworker, employee, boss, girlfriend, boyfriend, wife, husband, etc.... Personalized clock gifts by Framing Achievement, Inc. creation. Rating high on style and elegance, Framing Achievement's personalized clock gifts are the first choice in premium poetry presents for Anniversary, Birthdays, Weddings, Retirement, Graduation and many more occasions.